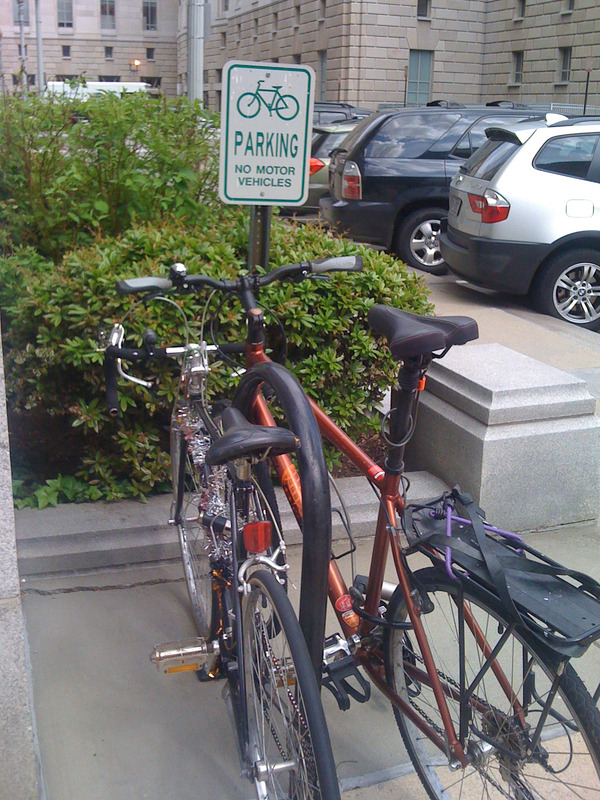 The Committee on Transportation and the Environment will hold a public roundtable on the Bicycle Infrastructure Master Plan, Monday, December 16, 2013 at 11:00 AM in Room 500 of the John A.Wilson Building, 1350 Pennsylvania Avenue, NW. The Committee invites the public to testify to help inform the Council and the District regarding the future of bicycling in the District. BAC invites cyclists to either testify in-person, submit a written statement or attend the hearing. The hearing will also be televised local cable channel 13 and online. If you have thoughts about the plan, please let us know in the comments below or twitter @DCBAC using the #DCBikePlan hashtag. According to the District Department of Transportation (DDOT), the current Bicycle Master Plan established basic goals and an implementation strategy for creating high-quality bicycle facilities and programs during a 10 year period. That plan was published by DDOT in 2005 and does not include many improvements. This meeting will allow the public to voice its ideas or concerns regarding the new master plan and ensure that the needs of bicyclists are addressed. The Bicycle Master Plan will likely influence MoveDC and other District transportation projects, which at their current stages are more aspirational or attempt incorporate multiple transportation modes into a comprehensive plan. The Master Plan will not only articulate biking-specific goals but also offer greater specificity regarding how to improve and promote bicycling District-wide. For those interested in providing testimony, you may register on the Council's website. Persons representing organizations will have five minutes to present while individuals will have three minutes. If you are unable to testify in person, written statements are encouraged and will be made a part of the official record. To submit written testimony, which will be made a part of the official hearing record, contact Ms. Aukima Benjamin, staff assistant to the Committee on Transportation and the Environment, at (202) 724-8062 or via e-mail at abenjamin@dccouncil.us. Statements must be received by the close of business on December 30, 2013.